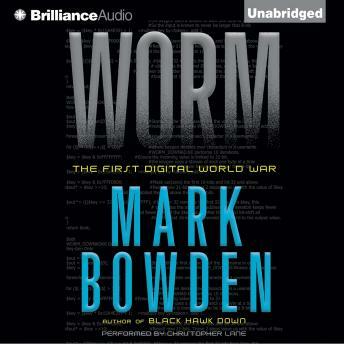 Worm: The First Digital World War tells the story of the Conficker worm, a potentially devastating piece of malware that has baffled experts and infected more than twelve million computers worldwide. When Conficker was unleashed in November 2008, cybersecurity experts did not know what to make of it. Exploiting security flaws in Microsoft Windows, it grew at an astonishingly rapid rate, infecting millions of computers around the world within weeks. Once the worm infiltrated one system it was able to link it with others to form a single network under illicit outside control known as a "botnet." This botnet was soon capable of overpowering any of the vital computer networks that control banking, telephones, energy flow, air traffic, health-care information - even the Internet itself. Was it a platform for criminal profit or a weapon controlled by a foreign power or dissident organization? Surprisingly, the U.S. government was only vaguely aware of the threat that Conficker posed, and the task of mounting resistance to the worm fell to a disparate but gifted group of geeks, Internet entrepreneurs, and computer programmers. But when Conficker's controllers became aware that their creation was encountering resistance, they began refining the worm's code to make it more difficult to trace and more powerful, testing the Cabal lock's unity and resolve. Will the Cabal lock down the worm before it is too late? Game on.